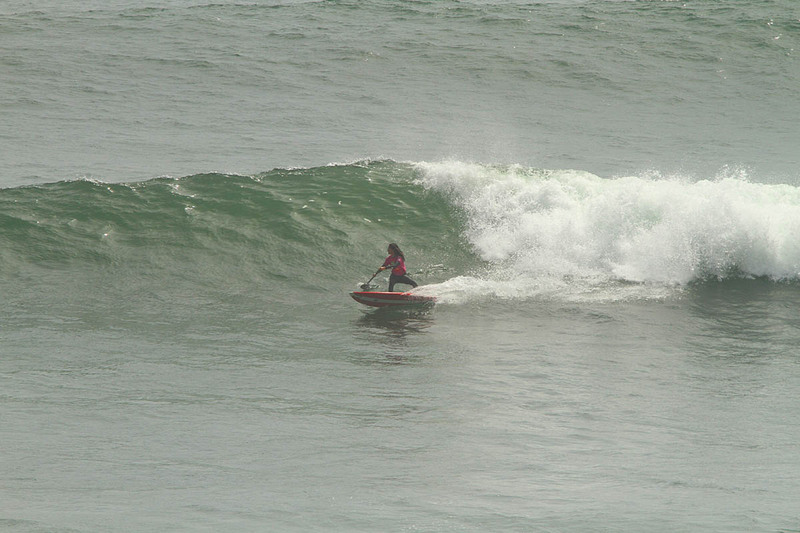 Punta Rocas, Peru, witnessed five days of intense competition with the best surfers in the Americas. 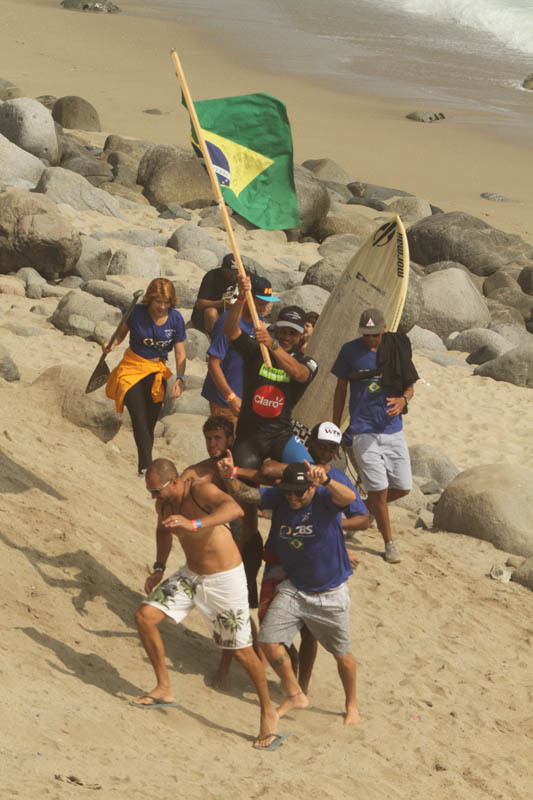 Four disciplines with eight divisions competed for the Medals in this preparative event for the Lima 2019 Pan American Games, where all 15 attending nations had a glimpse of an Olympic level event. “I’m beyond happy right now! 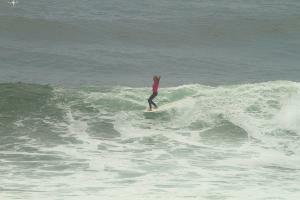 Honestly, I only surf longboard like 10 times a year, so I never thought I could make it. I’m so happy to represent Canada here and I hope to inspire many people back home in Tofino”, said Olin who competed against Peru’s Silver Medalist María Fernanda Reyes. Benoit Clemente from Peru, Longboard Men Gold Medalist said “I’m super stoked definitely. This heat was not as consistent as previous ones, but so happy to ride the necessary waves to add points and help my team”. 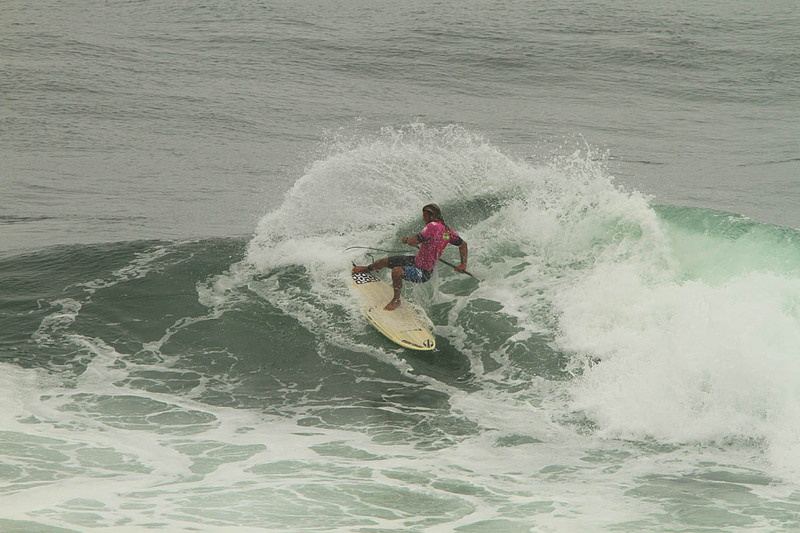 Clemente faced Silver Medalist Carlos Bahía from Brazil, in one of the most intense heats of the day, where these athletes showed off why they are among the best longboarders in the world. 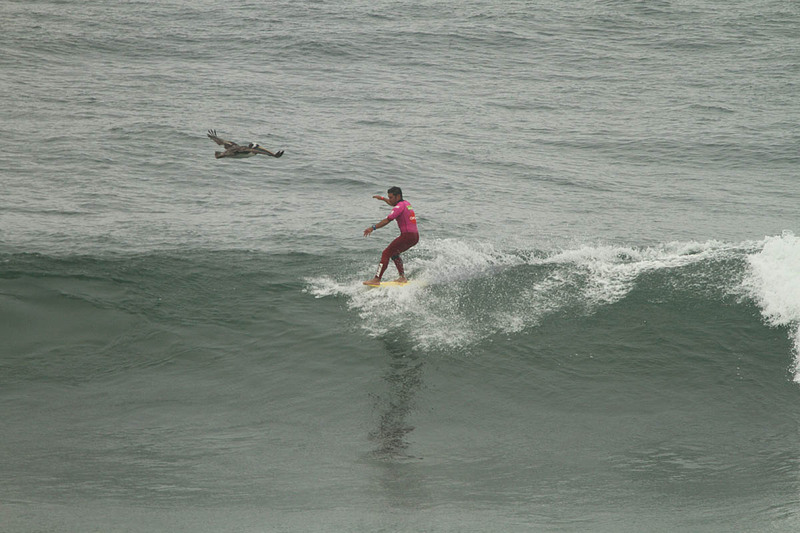 Vania Torres from Peru, SUP Surf Women Gold Medalist, had to compete in the Final against her teammate Silver Medalist Brissa Malaga, who placed 7th in the ISA world raking from ISA. 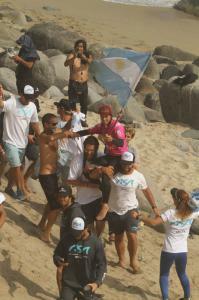 “Brissa (Málaga) is surfing so good, so I was really nervous before the final so I’m very happy. 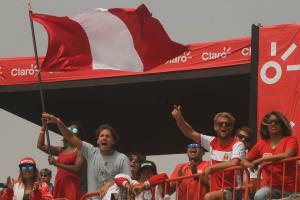 Here in Peru she is always the rival to beat”, said Torres. 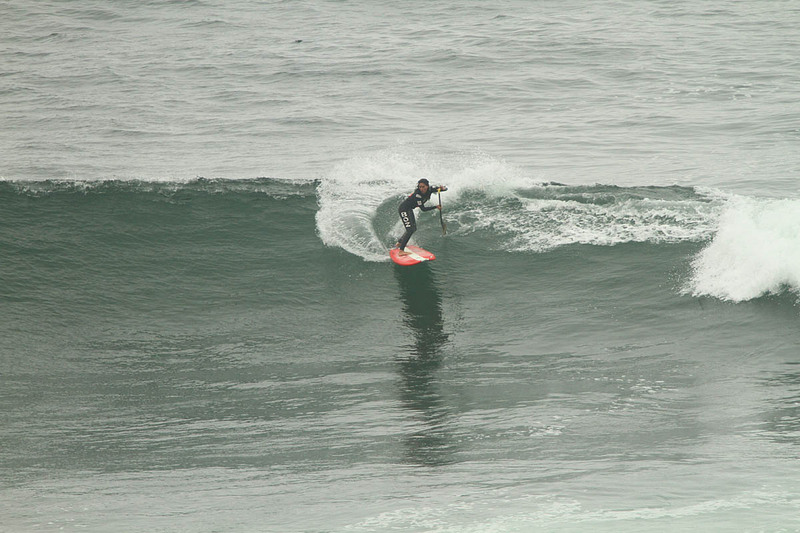 Caio Vaz from Brazil, SUP Surf Men Gold Medalist, competed against the local talent and Silver Medalist Sebastián Gómez from Peru. “I want to thank everyone who supports me, my friends, my family and my girlfriend. 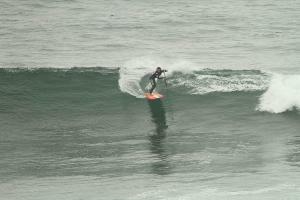 I’ve been surfing SUP for eight years, but I have surfed shortboard forever. 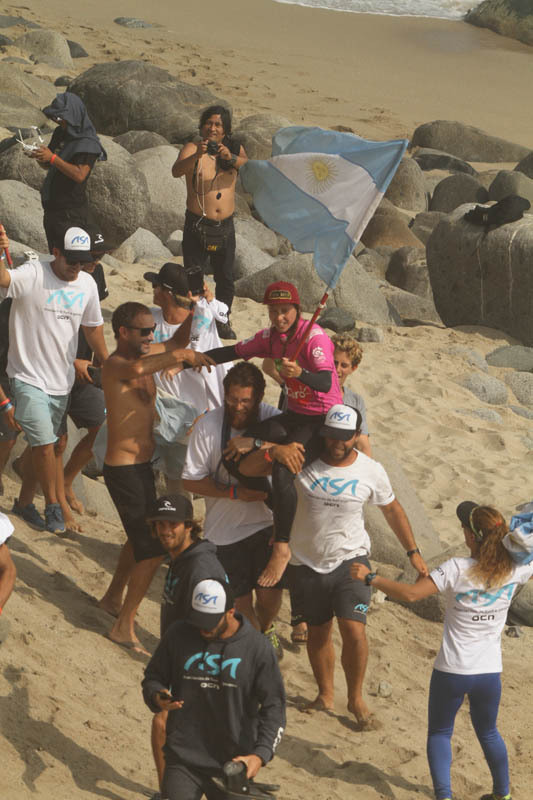 I really like to surf waves from Punta Rocas because they’re long and have a lot a surface to maneuver, so it makes me really happy to get this victory”, said Vaz. Ornella Pellizzari from Argentina, Open Women Gold Medalist, made a huge return to competition after being away for a few years. She faced the Barbadian sensation Chelsea Tuach, who is one of the top competitors in the WSL professional tour. “This is an important victory for me and it still hasn’t settled in. I’m so happy and thankful with my team for all the support. I think I have never won an event with so many Heats, and also this is the moment in my whole career when I feel more trained. I thank my family for always trusting me and all my sponsors”, said Pellizzari. Lastly, Open Men Final was the last heat of the event. Alonso Correa from Peru, Open Men Gold Medalist, defeated Silver Medalist Maximiliano Cross from Chile, in a battle to the last minute to take the win. “First I’m very happy to have achieved to get into the team, it’s an honor to represent Peru here at home Punta Rocas. Since I knew I was going to be part of the team I had the Gold in my sights, that was the objective. My brother placed third, it would have been awesome that he joined me in the Final”. 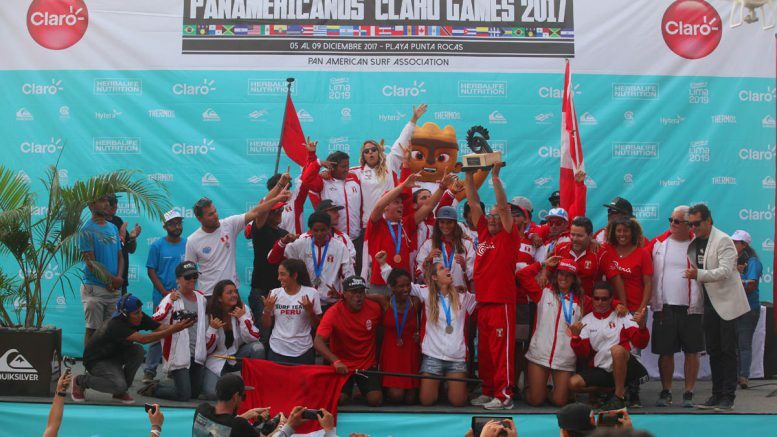 For 2018, the XIV Pan American Games will be qualifiers for Lima 2019. We thank all the teams for being part of this historic event. See you next year! This evento is possible thanks to Claro and Herbalife, and sponsored by.